I walked their new house, clutching my Dunkin Donuts’ coffee cup and taking it all in. The Great room was great, spacious and bright. There were accents all around the house that suggested that its previous owners were modern back in the seventies, which was the last time anyone had done anything to the place. There was a scary open staircase that freaked me out because I had young kids. Almost everything needed updating, but there were a lot of rooms and a lot of potential. I hadn’t taken off my jacket yet, and my sister and brother-in-law were walking around with sweaters, hats and scarves. Okay… apparently there was some insulation work that needed to be done as well. The tour ended in the kitchen. She took what was left of my coffee and poured it into a pot on the stove. I felt like I was on the frontier. Now I know these people. They didn’t have a microwave in their city apartment. But that kitchen was small and stylized in a way which would severely limit their already limited space. I thought for sure, they’d have one here. 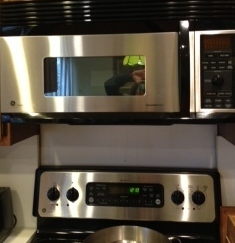 Who doesn’t have a microwave these days? I wondered, somewhat disapproving. Oh, yes, I can be holier than thou, just check out my socks. I knew my brother-in-law could live in a cave as long as there was the NY Times and an AM radio. That being said, my sister-in-law is a gazelle who fancies expensive boots and fabulous haircuts. I figured they’d cancel each other out and maybe produce a cute, baby microwave. No. Not the case. 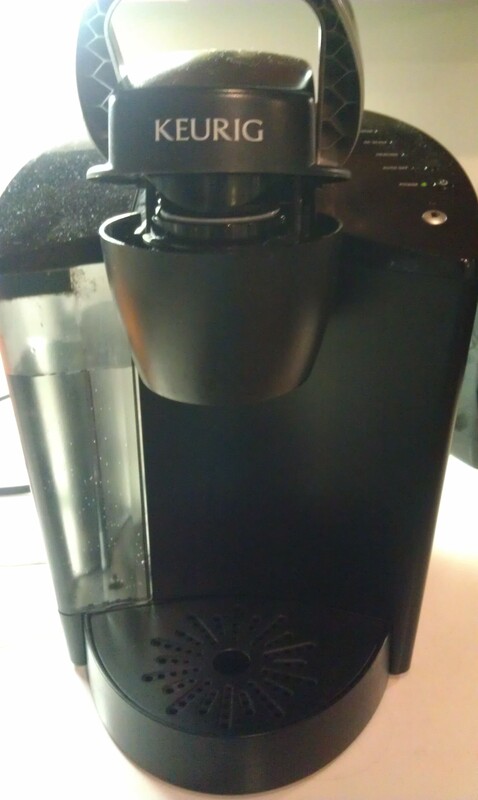 “Where’s the Keurig?” I asked, referring to a change of life coffee maker I had gifted them when I realized its magnificence. I’m lucky my eyes didn’t get stuck behind my head for all the judging I was doing. That was years ago, but now I’m officially here to say that I’ve seen the light. Well, it was more of a spark, actually. And, yes, it came from inside of my microwave. I was heating up some leftover pasta when a flash caught my eye. Was that fire? Electricity? I don’t fully understand what “micro waves” are, so I was naturally a little concerned. The only other time I had witnessed something like it was when I accidentally left a fork on a plate in there. Uh, don’t do that. Needless to say, I pulled the plug on the microwave. For a moment it was like all the light in my world went out. How would I heat up Michael’s pasta? I stood in my kitchen momentarily confused. It was like the time the ATM didn’t work and I had to withdraw money from an actual live teller. I blanked then too. Technology had been doing it for me for so long, I simply forgot how. Wait! I had a stove. I had a pot. I could just put the pasta in the pot and heat it! Revelation. And it worked, sort of. Some of the re-heated pasta did come out a little hard, which Michael immediately shunned, but it was mostly okay. I felt powerful. I didn’t need no stinkin’ microwave. For the first couple of days, I managed fine, until I realized that you need a microwave to make microwave popcorn. That kind of stumped me. We loved microwave popcorn. Another flash, although this one didn’t come with radiation – I would buy kernels and pop it on the stove. I would make Potcorn! I was just bursting with excitement. After shopping for special popcorn oil, seasoning and spray butter to help the seasoning stick, I was ready. The boys and I watched eagerly, shaking the pot at regular intervals until our eyes and ears witnessed the miracle transformation from kernel to corn. It went on for about a minute or so, but then abruptly stopped. 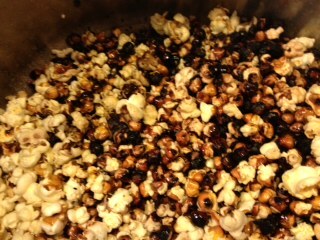 We continued shaking the many kernels left in the pot, but all we wound up with was a burnt pot and burnt potcorn. Bummer. This is not to say that I haven’t enjoyed my month playing pioneer woman, but the real reason I didn’t just run out and buy a new one was because our microwave is built into our wall unit and we’re considering re-doing the kitchen. So I just wound up waiting, which turned into major procrastination, which resulted in burnt snacks and a lot more pots and pans to clean. So while I will ultimately be getting another microwave, I did gain a new understanding of where my brother and sister-in-law are coming from. I’ll roll my eyes no more. Except, of course, when I want a hot, fresh cup of coffee. I couldn’t go a day without this baby! Posted in Every Day Scoops and tagged coffee, family, keurig, life without microwave, microwaves, rouging it, technology. Bookmark the permalink. I guess we all have different ways, and both can work. 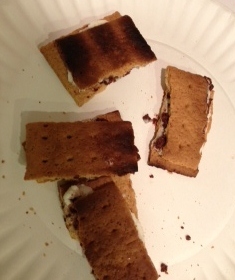 Strewth, we’re still using camp-ovens (well okay, not in the home kitchen). Hey when’s Flat Stanley heading over? Talking about camping we’ll be out in the Outback at Easter. A chance to introduce FS to a roo or two…. Hey, he’d better behave and leave Janet’s buns alone. Oh… sorry, you mean scones, phew! ha! i wrote bumpers, but i meant, dampers!!! i kind of like bumpers though. Oh lord, I feel you on this one. My hubs uses the stove all the time and my last cleaning lady talked about how evil the microwave was…until I fired her for scaring me. NOt sure of my point, but love thinking about this. I know a lot of people who are scared by microwaves! And they bring scientific reasons for that……..
Oh man I can’t imagine being without a microwave. Okay, I can imagine it but it sure doesn’t sound like fun. Definitely not something I would do voluntarily. Don’t know how I missed this post! Believe it or not, we made popcorn on the stove last week and burned the hell out of it too! It stunk up the kitchen for days. Our microwave is just fine, but I wanted to try out stove top popcorn just for kicks. I guess I was working out my Pioneer Woman side too! Great stories! lol I use my microwave a lot, in spite of reading of the dangers of it. We just switched our internet service and we got a new modem, now whenever the microwave is used the internet freaks out. Sigh. Maybe our microwave isn’t such a great idea, I wonder what it’s emitting and is it any worse than all the other stuff our bodies are being bombarded with? Pondering if my microwave is broken, or the modem is bad.